A mystery novel might be the last thing that regular readers of E. F. Benson would have expected him to write. Benson wrote almost 100 books which were comical novels, sentimental fiction, ghost stories, and informal biographies. Modern TV viewers will know him for the Channel 4 Mapp and Lucia series which starred the late Geraldine McEwan. 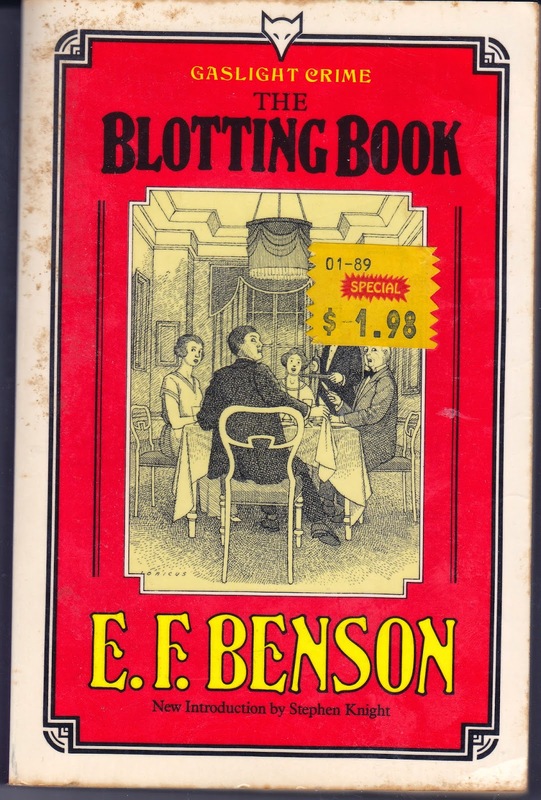 However, in 1908, Benson wrote his one and only mystery, The Blotting Book. Morris Assheton had come to live in his mother's home in Brighton after completing his four years at Cambridge. Morris was a carefree young man who loved his new motorcar, and who was hoping to marry the attractive Madge Templeton, the daughter of Sir Richard Templeton. Morris' finances have been cared for by Mr. Taynton, a slightly corpulent man of sixty though he looks younger. Morris would come in control of his funds when he was twenty five, or when he got married. Morris was now twenty two. Mr. Taynton requested that Morris look over his books to ensure that Tayton was making the best possible investments. He told Morris that his original 30,000 pounds had grown to 40,000 which pleased Morris to no end, and Morris saw no reason to waste time looking at accounts when he could be driving his new car. Mr. Taynton, however, was lying to Morris. The money had indeed grown to 40,000 pounds which Taynton had used to make very bad investments which lost most of the funds. He had now invested the remainder in copper shares and had great hopes for them. His partner, Godfrey Mills, knew about this bit of financial mishandling, and upset Mr. Taynton by refusing to take any responsibility for the losses. He was essentially blackmailing Mr. Taynton. In addition, Mills planned to put off any thought of a marriage by going to Sir Richard and saying that Morris was a highly irresponsible young man who could not be trusted to marry his daughter. Mills did go Sir Richard before he took a planned trip to London on Thursday. Morris was furious when Sir Richard told what had been said about him. He tried to see Mills when he returned from London, but Mills did not return. Both Taynton and Morris tried repeatedly to see Mills who did not return. Then Mill's body was found, and Morris was arrested for the murder. Superintendent Figgis, the policemen in change of the case, ranks as one of the most stupid in detective literature. The case against Morris would go to trial where all would be made clear, and the murderer revealed. This book proceeds in a leisurely manner with atmospheric descriptions and a certain charm which makes it a part of the time in which it was written which was 1908 at the beginning of the golden age of mystery fiction. Austin Freeman's Mystery of the Red Thumb Mark had been published in 1907, and Mary Roberts Rinehart was starting her second novel. Agatha Christie would not publish her first novel for 12 more years. The paperback copy which I read was published in 1987 by The Hogarth Press, and has an introduction by Stephen Knight. This novel is still in print, and a Kindle edition is available for free. 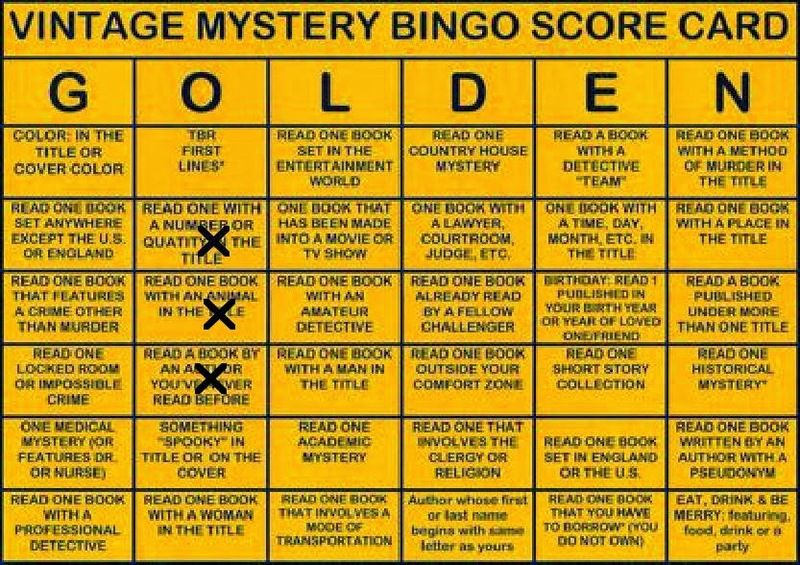 I have read this book for the Golden Vintage Mystery Bingo Challenge 2015 in the category of a book by an author whom I had never read before. Oooh, lovely! I have enjoyed the more comic stories by Benson. I definitely would like to give this one a try. Thanks for reviewing it for the challenge! I don't think I would have heard of it otherwise.